Offering you a complete choice of products which include top and bottom sealing machine, pouch packing machine, ffs pouch packing machine and automatic pouch packing machine. 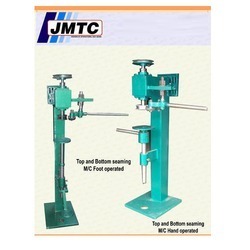 We are the leading and prominent Manufacturer and Supplier of Top and Bottom Sealing Machine. We are leading Manufacturer of Pouch Packing Machine. Pouch Packing Machine is very easy to operate. We are leading Manufacturer of Pouch Packing Machine. Pouch Packing Machine is very eay to use.